A comprehensive list of the best places to take photos in Copenhagen, Denmark. It includes historic sites, canals, architecture, churches, entertainment districts, military fortifications and more. THE BEST PLACES TO TAKE PHOTOS IN COPENHAGEN, DENMARK! A photography guide to Copenhagen! Are you traveling to Copenhagen, Denmark? Are you looking for the best places to take photos in Copenhagen? Are you bringing your camera? You better! Copenhagen is a beautiful city and it is very photogenic. I have visited several times and have been able to get to many great spots and reel off an incredible amount of photos. Do you like European cities? Do you like sidewalk cafes and neat little side streets? Do you like history, culture, and art? How about palaces and castles? What about churches and fountains? Then read on, because Copenhagen has all that and more! I have really enjoyed each of my trips to Copenhagen. The people are very nice, the city is very beautiful, and the historic city center is compact enough that you can comfortably walk to all the key spots. It's a great place, so pack that camera, and let's get started! These are in no particular order, though I must caveat that and say that I was so enchanted by Nyhavn and took so many pictures there, so it has to be first! 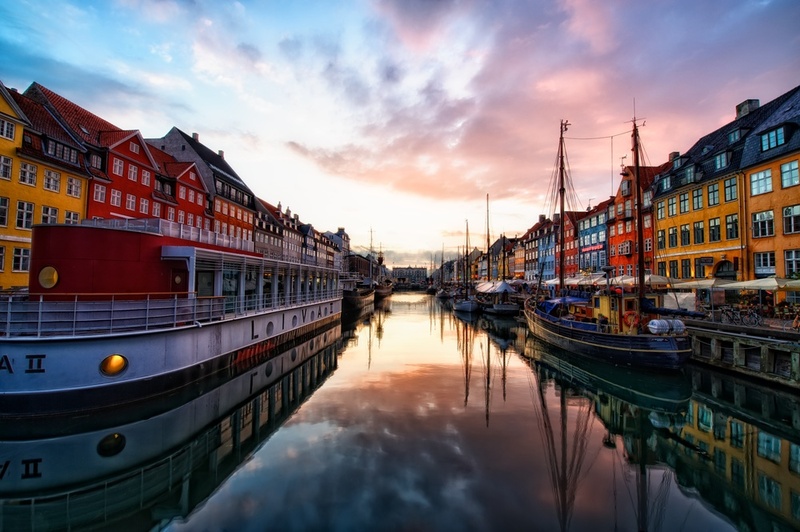 Nyhavn is the historic waterfront, canal and entertainment district. It's what you see on all the postcards - these beautiful, 17th century townhouses with historic wooden ships docked out front. It's a great place to spend time, whether you are there to eat, drink or just people watch. Enjoy this spot! 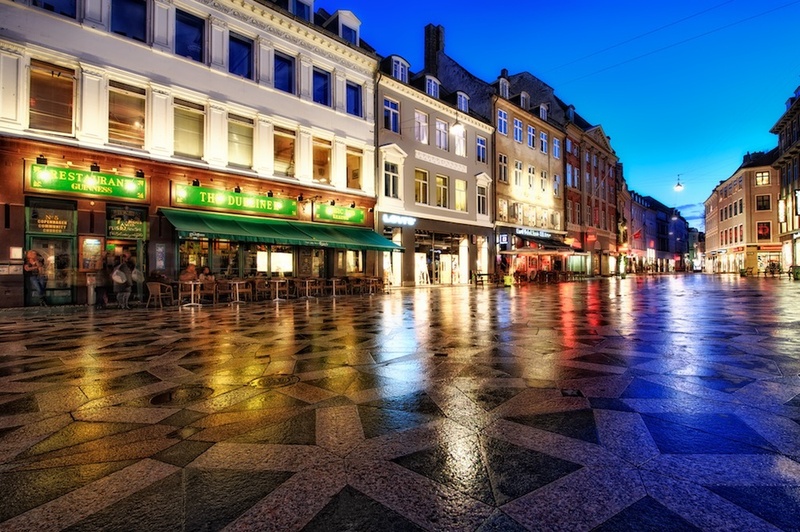 Stroget is a pedestrian zone and is actually the longest pedestrian shopping area in Europe. Of course, I did not go there to shop, but there are lots of shops and restaurants to see in the area. Thankfully though, there are also some great street shots you can get and if you are into street/people photography, this area is ripe for the picking! This statue is iconic and other than Nyhavn may be the most-photographed spot in Copenhagen. Therefore, it is also really crowded. It doesn't look like it in the photo, but there were crowds of folks here. I just made my way to the front of the crowd and fired off my shots before someone stepped in front of them. Speed is good. Just a short walk from the Little Mermaid, I came across St. Alban's. This church is beautiful, though I was not able to get inside and see the interior. The architecture just really caught my eye. Oh, and the fountain is just incredible. This beautiful castle sits sort of in the middle of town, surrounded by a wonderful park and gardens. When I first read about a castle, I had the "fortress" sort of image in my mind, but as you can see this place is very ornate and has that Renaissance look, which I personally love. Be sure and wander in the park a bit too, it is a nice place to relax and enjoy the outdoors. As the name implies, this is an actual round tower. It is attached to the Trinitatis Church, and was once an astronomical observatory. The key attraction here is the central corridor, which is a long sloping spiral ramp to the top, and makes 7.5 turns along the way. It's a good walk! But, it is well worth it because you are rewarded with great views of the city at the top! 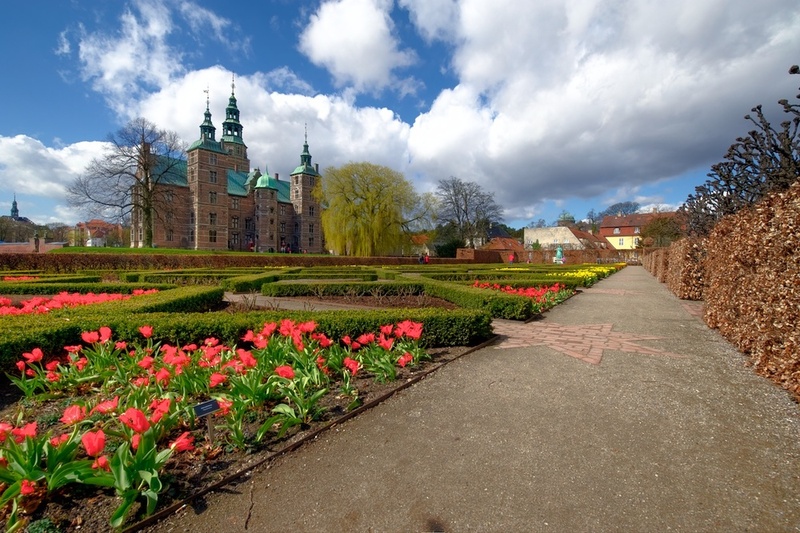 This is home to the Danish Royal Family, and like many palaces in Europe, it occupies a prime spot in town. It has 4 identical facades around a courtyard, and you can find military guards standing near the entrances. It feels very regal, and I guess it should! Yes, another palace in Copenhagen! There are several, so bring the camera and your walking shoes! 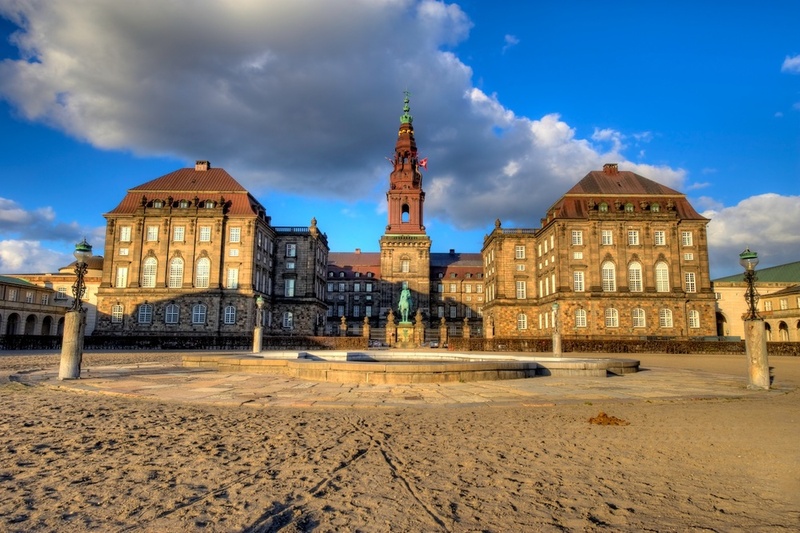 In this case though, it is the seat of the Danish Parliament. It has a wonderful open courtyard which leads up to the stately facade of the palace. Kastellet is an old fort in Copenhagen which is shaped like a pentagram and surrounded by a moat. It's cool - you sure don't see stuff like this in the US! 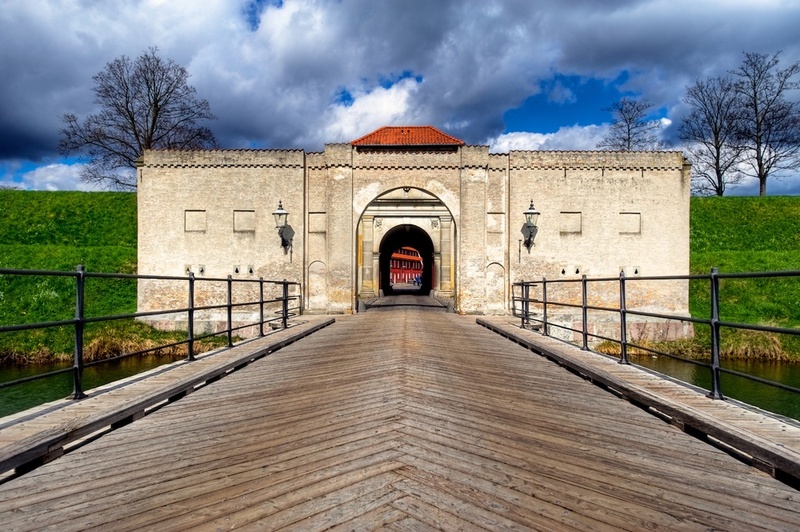 The area is surrounded by large ramparts which give you a wonderful view of the area, and you can walk along them as they are lined with a nice path. Then from here it's a short walk to see the Little Mermaid. If you follow my blog you probably already know that I like trains and train stations, so it's not much of a stretch to guess that I spent some time shooting in Central Station in Copenhagen. It's a nice train station, but it isn't crazy big. It has some great spots to aim, but in particular I was interested in this escalator. Also you can get some great shots down the tracks! I mentioned Trinity Church in #6 above (aka Trinitatis Church) and it's next door to the Round Tower. I got inside for a few minutes and just thought it was beautiful. This is the main cathedral of Copenhagen and the National Cathedral of Denmark. Pretty cool stuff. It's conveniently right next to the main building of the University of Copenhagen, so it's easy to bag both of these while in the area. I found the exterior of the Main Building interesting and worth shooting (keep in mind that I love architecture), but when I stepped inside and saw this, I was floored - so amazing! This place is just incredible, and is visible from the courtyard at Amalienborg Palace, so it's another place that's easy to get to while you are there. I love the exterior, but be sure and go inside as well, you will be amazed! It seems there are church spires rising into the sky everywhere in Copenhagen - it's awesome actually. This one caught my eye because it's across the street (almost) from Copenhagen Cathedral. I just wandered over here and shot away. Sadly, the church was locked so I haven't seen the interior. 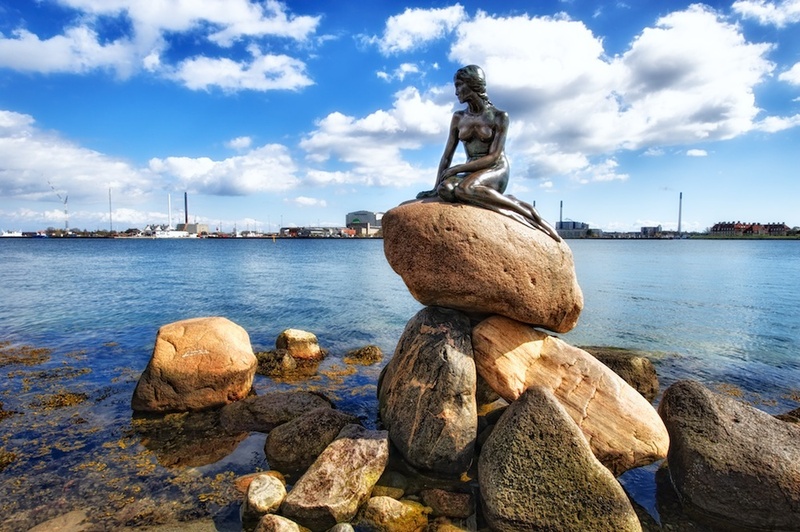 Well, that's a quick tour of 15 great spots for photography in Copenhagen, Denmark! It's an incredible town and I highly recommend it. There are lots of other places to shoot there too - these are just 15 that I really liked a lot. If you know of some more great spots that I didn't list, feel free to leave a comment about it (assuming it isn't your little secret place!). I also took quite a few shots of various streets: cafes, bars, alleys, you name it. It is just so European and since I love those little scenes, I took a lot of shots of them! Someday they will make it onto the blog. Also, so many residents here ride their bikes around town that I have a bunch of shots of bicycles just leaning up against a building. It's so fun to walk around Copenhagen with a camera! If you enjoyed this, sign up with your email address to receive my free eBook "My 50 Favorite Travel Photos", along with news, updates, travel info and beautiful pictures!